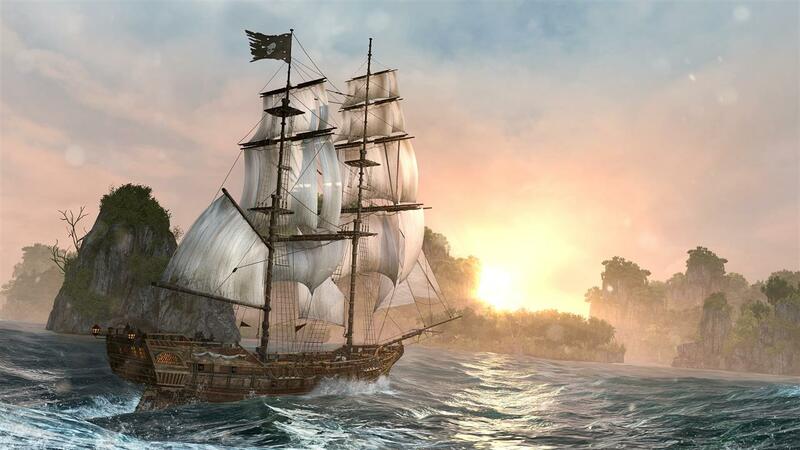 I popped in Assassin’s Creed IV: Black Flag, and from the moment I set foot on board the Jackdaw, I felt that the relationship would be something special -- that we would bond, the ship and I. From stem to stern, from topmast to keel, I knew I’d like her. I’d had that same feeling the first time I stepped onto the Normandy in Mass Effect. Fine ships both. The Jackdaw to sail o’er Caribbean, the Normandy to traverse the Milky Way. But something happened on the way to the Spanish Main, and the dread pirate vessel Jackdaw stole my heart away from the good and honorable Normandy. It all started in the months leading up to my tenth birthday. Every time my parents went into the local Fred Meyer, I made a beeline for the LEGO aisle. There, on the bottom, largest shelf, she sat: the Black Seas Barracuda pirate ship. In shimmering waters against a backdrop of beachheads and magenta clouds was the Holy Grail of my soon to be ten-year-old existence. As my parents shopped for bread and eggs and discount shoes, I'd sit down on those fluorescent light-reflecting tiles, legs crossed Indian style, staring at the Black Seas Barracuda’s red and white striped sails. The $110 price tag was daunting, especially in 1989 dollars. That was a good six months’ worth of allowance. The inflation calculator tells me that $110 sum is now closer to $210 in 2014 terms. So I sat and stared. Fred Meyer employees in red vests occasionally stopped at the end of the aisle, waited to see if I was up to no good, then wordlessly moved on. At the time, I thought it was strange that more kids didn’t join me to worship silently at this low-shelved LEGO altar holding up my idol, my golden calf. I wondered what those other kids could possibly be looking at. Was there anything else more singularly beautiful than this pirate ship? Anything at all? There was nothing. I got the Black Seas Barracuda for my birthday. I’m glad my parents couldn’t afford a video camera, because I was screaming for joy. I cried tears of happiness. My mother was working at McDonald’s at the time, and my father was repairing barges down at the dockyard, so they had to sell a fair amount of Quarter Pounders and solder metric tons of leaky boats to foot the bill for the Black Seas Barracuda. But it was worth it to me. All those weeks of sitting and staring were worth it. I assembled the Black Seas Barracuda over the next couple days. I think I had only four or five leftover pieces in the end. I never disassembled her after that. 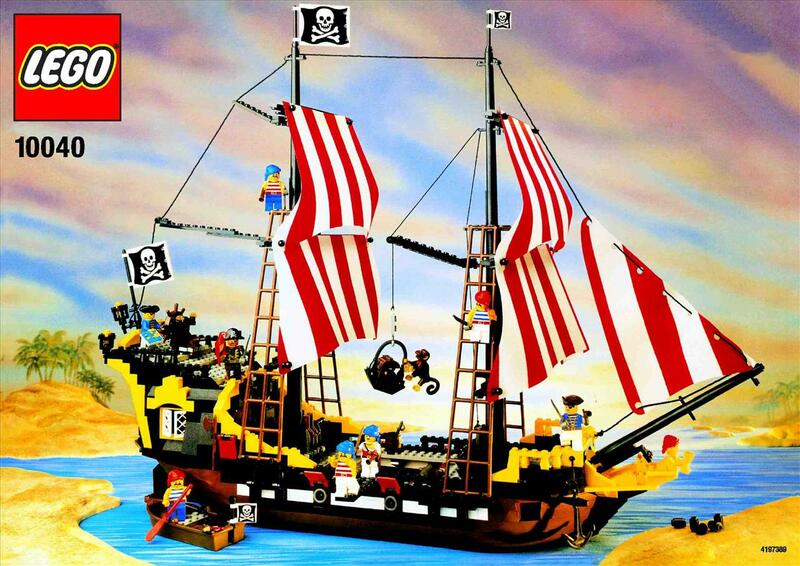 Each LEGO brick I tacked together on that ship became fundamental to my character and upbringing. Every piece locked in place, locked in place a part of my own foundation. Now in the water-logged boots of Captain Edward Kenway, I sail the Jackdaw. She’s a brig formerly known as El Dorado, acquired from a Spanish treasure fleet. Kenway saw fit to rename her. She’s equipped with a ramming prow just below the water level, something I haven’t seen on any ship past a Classical Greek-era Trireme. Her sails are black and tattered, her woodwork always in some state of just-now repaired, and she’s packing 16 guns to a side, enough to make any would-be enemies give pause. But the important part: I stand on her decks, I grip her wheel, and she goes where I tell her. That was always my problem with the Normandy. Sure, I flew her mini map-sized icon around a sparkly projection of the galaxy, but it always felt like I was doing nothing more than pushing a Monopoly piece around a board game. The disconnect between Commander Shepard (me) and the Normandy (my ship) was too great a distance. I walked her decks, yes, and I rode her elevators, okay, but did I ever feel time and space moving past the Normandy’s prow? Did I ever run my hands along her purportedly upgraded guns, or throw my shoulder against her -- I’m told -- improved armor plating and shields? 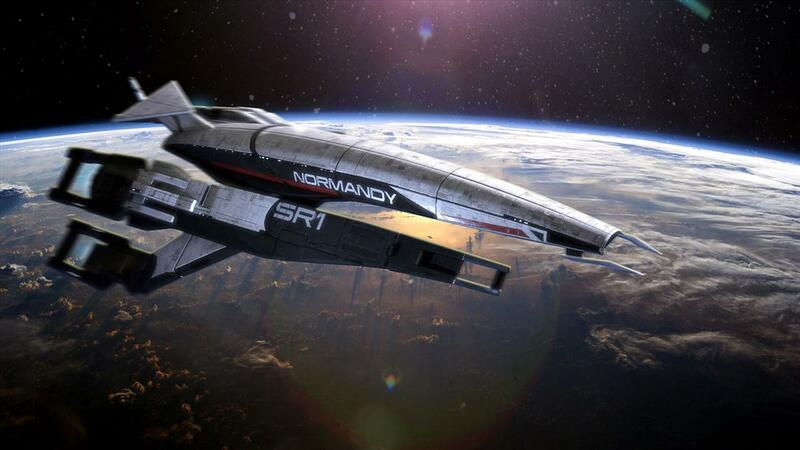 Whenever I got to see the Normandy, she was always zipping past some Mass Effect gate in a glorified loading screen, or docked beyond the bay windows on the Citadel. I never got to tell the Normandy to go hard to port. I never punched the engines into full speed ahead. Never damned the torpedoes. The Normandy didn't give me the tactile response I require from a meaningful relationship. Touch is my “love language,” and the Normandy rarely spoke to me. Thankfully, her crew held her together more than any upgrades. While I went through the motions of always improving the Normandy when and where I could, I’m not sure I ever felt the weight of those enhancements -- never felt the importance of check marking those menu items. The Jackdaw though. The Jackdaw is a real character. Perhaps a constantly evolving one, given the rapidity with which I switch out mastheads and sails, but those are only cosmetic changes. Even as I sit here at a keyboard, I can feel the Jackdaw’s roll and pitch amid the breakers. I can feel it yaw to port or starboard as waves push at her hull. I can hear the crisp flap of the canvas as I order her from anchorage to full sails. I can even sing along to one or two of the shanties the crew bellows out, especially the mournful croon of “Leave her, Johnny.” Hearing it now in my head, I could almost cry. Not the same tears I cried when I got the LEGO Black Seas Barracuda, but maybe a grown-up equivalent. So I’m sorry, Normandy. It’s time for me to leave you.